A police officer faces a personal meltdown following a divorce and the death of his mother. 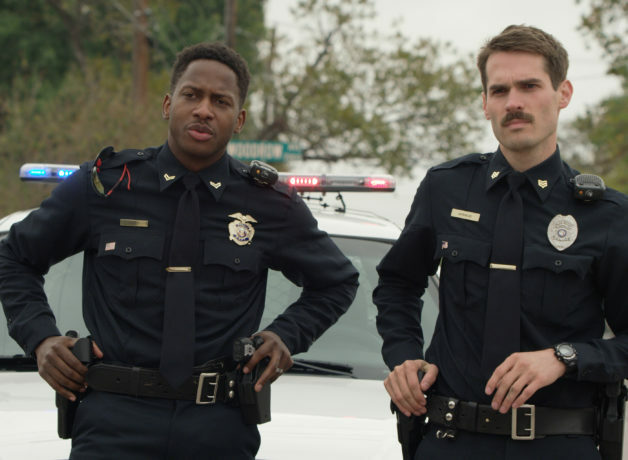 Written, directed and starring Jim Cummings, Thunder Road, expanded from a short of the same name, is a painful and blackly comic exploration of grief and what happens when your life unravels and takes a wrong turn. Impeccably performed, it’s a raw work, brimming with emotion. Thunder Road screens on general release from Fri 31 May. We will be joined by director/actor Jim Cummings for a Q&A following our special preview screening on Thu 16 May at 17:50.